Located on eleven acres in Memphis, TN, Pema Karpo Meditation Center is inspired and guided by the teachings of Nyingma Tibetan Buddhism. 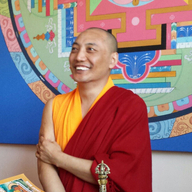 Khenpo Gawang Rinpoche is the founder and spiritual director. The center welcomes local and regional practitioners who come for meditation, dharma teachings, classes and celebrations.